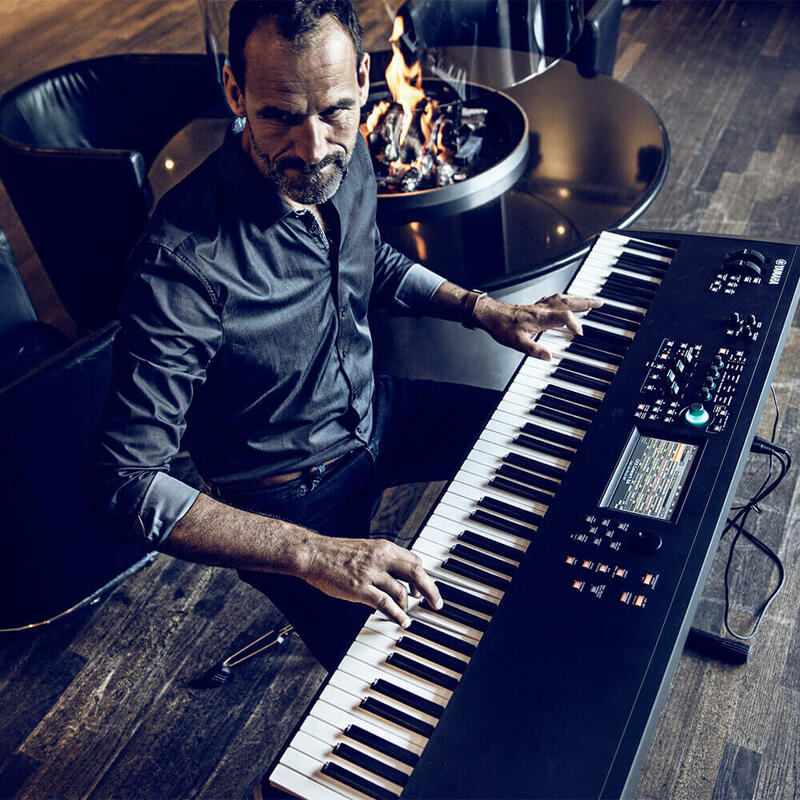 Yamaha have just announced the launch of their new range of MODX synthesizers. They’re compact. They’re lightweight. And, they’re great. So, let’s have a quick look at them. On the squad sheet we’ve got the MODX6, MODX7 and MODX8. The X6 and X7 give you 61 and 78 synth weighted keybeds, while the X8 gives you 88 notes and features a Graded Hammer Station Action. This new range looks to be in line to replace the MOXF series and comes packed with some state-of-the art upgrades. Keyboard aficionados might know the AWM engine already. It’s only found in Yamaha music synths and it offers more than just sample playback. Every one of the 16 AWM2 parts come with eight programmable synths with a filter, amplitude, pitch, several LFOs, EQ and more. In short, it’s massive. Of course, the aim of this game is to create the best sound. So, the MODX uses the same technology that powers the flagship MONTAGE. It has that AWM2 sample and synthesis engine that can deliver incredible emulations of acoustic instruments, synth sounds and percussion. This new range of MODX synthesizers deliver all sorts of entertaining effects. From high definition reverbs to detailed virtual circuit modelling, MODX features DSP innovation power and quality of sound. You can go retro with the analogue delay effects, VCM Phaser and a variety of amp simulators. The MODX also offers a super-realistic piano experience, while the reverbs can put you in any space you want. So, that sounds like an awful lot of technology. Regardless of all that you’ll want to know the following. Is it easy to use? Yes. Is it powerful? Yes, indeed. Does it sound great? Absolutely. And it’s affordable, too. Why not pop in to Rich Tone in Sheffield for a nice chat with our experts.